Although we are not quite as advanced as the film producers behind Back to the Future II thought we would be in 2015, we are still alive in an exciting technological time. We may not have flying cars but we do have phones that are capable of doubling up as a computer. Mobile technology has really changed everything. There was once a time that you could only order food via the phone or by collecting it in person. Mobiles have since eradicated the need for verbal communication. There was once a time that if you wanted to bet on greyhounds you would have to visit the track or the bookmakers. Now, as long as you have 3G, you can bet from anywhere in the world. There was once a time where you would either phone or Skype, now you celebrity favourite Facetime. There really has been a mobile revolution in the 21st Century. We are seeing the Industrial Revolution happening all over again, except this time it is not coal and steel that we are producing but mobile apps and Google Glasses. 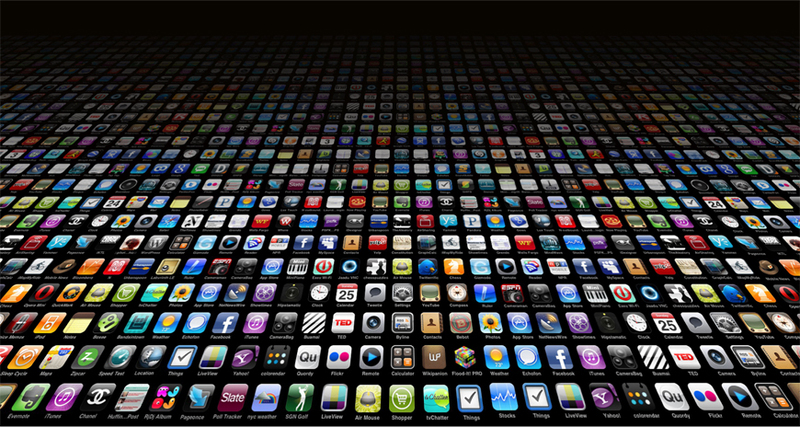 Mobile apps are a very casing point and perhaps the best thing to come about from this technological revolution. Not only do they make all users’ lives more enjoyable, efficient and frustrating – if you are playing Flappy Bird – but they also offer a fantastic opportunity for budding entrepreneurs. Due to the minimal costs of making an application the profit margins can be massive and that is still true when you are selling your product for just $1.99. In this regard, everyone is a winner. The client is getting a product for a pittance while the manufacturer is seeing their product become popular. With that, money will soon be finding its way into their pockets. With so much money to be made, it is little wonder that everyone is trying to create an app as they seek to claim a piece of this lucrative pie. Unfortunately, with more and more people going into the app game, the market is going to become saturated and we will have to sift through numerous rubbish apps before we can find any of practical use. So which apps should be an essential for any smartphone? Nowadays social media is for many the most important way for people to communicate. The undisputed don of the social media world is without question Facebook. Mark Zuckerberg’s baby has sucked in 1.35 billion users since its founding in 2004 and it is a must have for a lot of people. With Facebook now owning the hugely popular Instagram, this social media site increased its appeal tenfold. For keeping in touch with friends new and old, you really cannot do better than Facebook. Many see the necessity for Facebook but actually prefer Twitter. For the purists there is more enjoyment and more practicality to Twitter than Facebook. With just 140 characters available to use it means that you will never have to see people posting essays that clog up your landing page. Instead you just get a snippet of what people are saying and/or doing, which most of the time is more than enough. Another great thing about Twitter is how close it brings you to the rich and famous. You can be kept directly updated with what they are doing and can interact with them via tweets. Sometimes they will reply and other times they’ll read your tweet on Jimmy Kimmel. Skype is a wonderful thing and something that should be on every phone. Although FaceTime does render it slightly obsolete for iPhone users, it still serves a huge purpose for non-iOS devices. The ability to have face to face contact for free is a wonderful thing. Whether you are catching up with friends, family or work, Skype does the job. Before there was iMessage there was Whatsapp. The original free message service is still going today and should be downloaded, especially if you have family living in another part of the world. This service sends messages for free via the internet, so it is hardly surprising that the company has 600 million active users. Expect WhatsApp to become further integrated with Facebook in the years to come – it was sold to the social media giants for a hefty $19 billion in February 2014. 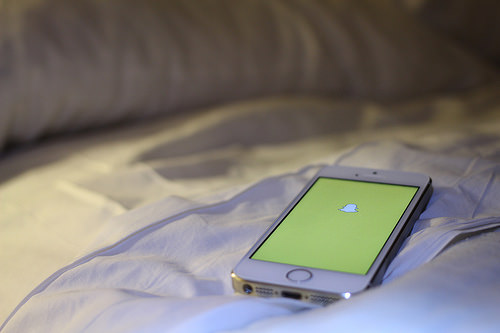 The newest kid on the block is SnapChat, which has done amazingly since being released in 2011. This photo sharing service has really taken a lot of people’s interest. In essence, it is the photo equivalent of Twitter. Here you take a picture and send it to your friends who can see said image for up to ten seconds. From there it is deleted off the servers. It is fun, frivolous, silly and just damn right enjoyable. For many, after using your phone for social media activity and communication, your next biggest battery drainer comes from playing games. There must be not far off a million in the marketplace nowadays. 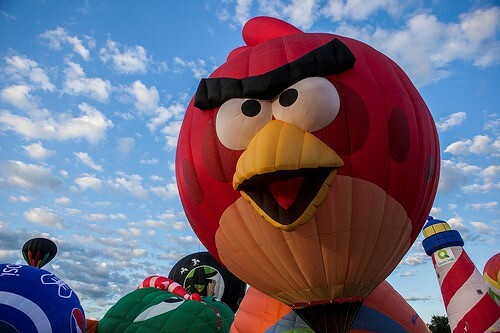 The one game that will always be synonymous with smartphones is Angry Birds. Sending this birds hurtling into evil pigs is something that is never going to get old, especially now the developers are getting more licences and they recently did an Angry Birds/Transformers crossover. If you are lucky enough to have children you may have noticed them playing on Minecraft. The game, which was bought this year by Microsoft for a cool $2.5 billion, has been entertaining children since 2009. At first glance it is hard to understand the appeal and the same thing goes for the second and third glances. But, there is something charming and enjoyable about this game; the only problem is you don’t know what it is. With an infinite world to explore and just as much to build, it is your own world to go and get lost in. For the price of $6.99 you gain access to a whole new world. It is a world that has been created by your fingers. Doodle Jump was one of the classics. The 2009 game isn’t seen as much anymore, presumably due to people buying new phones and not re-downloading their games. What makes Doodle Jump perfect is that it is a five-minute game. You can play longer should you choose, but if not then it is not a problem. Zynga acquisition of the rights to Words with Friends was an astute business deal. The game, which is hugely popular, sees you play scrabble with your friends all from the comfort of your own mobile. This, if there ever was, is a social media game. Football Manager has always had a place in the heart of most avid football fans. There is something about it that is just unexplainable and thankfully the iOS version is another to saturate us fanboys. For most men and a growing portion of women possessing some sort of sports app for their phone is imperative. For those based in the United Kingdom you really cannot do any better than the Sky Sports app. Rupert Murdoch’s company has the most impressive and extensive sports coverage outside of America and their app is no different. If you want the latest sports news or to check on how your team is doing then the Sky Sports app is for you. If you are the other side of the pond then Bleacher Report’s Team Stream is very impressive. Instead of giving you a generalised overview of all the sport it gives you a laser-like focus on your favourite team, who you would have designated in the settings section. Mobile betting is becoming a very, very popular activity for people in Britain and in other countries without repressive gambling legislation. And although betting companies offer the same product, no two are the same. The current cream of the crop is Betfair, who besides offering some of the best odds and bonuses have arguably the largest available betting market seen. For example, if we go back to that example of greyhound racing, there are all sorts of options for gambling. Races take place around the world, from the UK to Australia, and if you know your stuff then it is a great way to make money. Greyhound racing is a hugely popular pastime. Indeed, in a further indication of that popularity, Towcester racecourse in the UK are introducing greyhound racing as a part of a £15m redevelopment. At the same time, phones can now be used as an exercise tool, and a good one at that. Joggers must have been delighted when they started to notice running aids, including the excellent Garmin Fit, flooding the App Store. For the grand ol’ price of £0.69 you will get a modernised stepometer. Not only can track your speed, distance and elevation, but it can also calculate how many calories you have burnt by using a formula that takes into account your height, weight and age. All the time that this is doing that, you can also listen to your own music. When it comes to news, nobody does it better than the BBC. For those that live in the UK, it is nigh on impossible to find a more comprehensive news source than the BBC. Whether they are reporting from London or Loch Ness, you are kept completely up to date in a timely and well-presented manner. Once you are over the Atlantic then downloading CNN’s mobile app is crucial. Not only is it brilliant news application, but it is also allows you to contribute your own story and opinion in the form of a phone or video via the equipped CNN iReport feature. At times the coverage can be odd and focused on silly things, but nobody can knock the extensive nature of the application. Time is a factor in everything we do. A lot more of us would read a lot more about the news if we just had the time. With kids and work to contend with, digesting a whole article is too often out of our remit. This is why you get Circa to regurgitate articles into the bare essentials. Keeping us clued up and freed up. We all have lazy days. Having one every once in a while is good for you. Sitting on the sofa and watching television or playing PS4 all day is a treat that everyone needs to have at some point. Food is always the biggest problem on days like these. Once you have perched on the sofa, you don’t want to be up and checking the oven every five minutes. It is days like this where you rejoice that Just Eat exists. Simply open the app and find the restaurant that suits you. Choose your food, submit, and 40 minutes later you should be treated to some delicious, but nutritious suicide, food. With the price of music going up and torrent sites increasingly going down it has never made more sense to treat yourself to Spotify. At £9.99 a month it is an expensive commitment, but if you listen to your music then it is no issue. Bar the Beatles, Taylor Swift and a few others, the millions of songs that Spotify’s music database bolsters should be enough to satisfy even Simon Cowell. Spotify Premium gives you uninterrupted music and the ability to download tracks to play them offline. Netflix is a truly marvellous thing and something that makes those lazy days all the better. With thousands of television shows at your fingertips, you can watch your favourite shows to your heart’s content. Odds are if you haven’t already seen it then you will be watching Breaking Bad by the end of the week. Uber makes getting a taxi even easier and should be installed on any city-goer’s phone. The ability to see where your taxi is on a virtual map of London is ingenious. No more waiting outside in the rain for a black cab to arrive.